With technology and connectivity, the classroom can be anywhere, and not limited by physical space, or even by potential number of interested learners. MOOCs – Massive Open Online Courses – are very much in the news and conversation, but most of the stories talk about large schools with equally large budgets. MOOCs, however, can also be an interesting way to offer learning experiences regardless of the size or resources of a school. The hybrid course, on the other hand, is in some ways the opposite of the MOOC, using technology to build connections between the physical classroom and opportunities beyond the familiar confines of a formal, physical teaching space. This webinar will look at the experience of teaching and learning in these emerging environments. Presenters include instructional designer and CollegeAnywhere Executive Director John Kahler, Associate Professor of Interdisciplinary Studies and Director of Distance Learning at Holy Apostles College & Seminary Dr. Sebastian Mahfood, and MOOC facilitator and online instructor Nicole Iovine. Dr. Sebastian Mahfood, OP, is a Lay Dominican of the Chapter of the Holy Rosary in the Province of St. Albert. Dr. Mahfood holds a master’s in comparative literature from the University of Texas at Arlington, a master’s in philosophy and a master’s in theology from Holy Apostles College & Seminary, a master’s in educational technology from Webster University, and a doctorate in postcolonial literature and theory from Saint Louis University. Among his publications include his book Radical Eschatologies: Embracing the Eschaton in the Works of Ngugi wa Thiong’o, Nuruddin Farah, and Ayi Kwei Armah. He lives in St. Louis with his wife, Dr. Stephanie Mahfood, and children, Alexander and Eva Ruth. They are expecting their third child in October, 2013. Nicole Iovine, of Edvance360, assists with the development and implementation of online courses and programs. This includes migrating content, course design, and technical support. In addition, Nicole serves as a facilitator for MOOCs and teaches online courses. John brings over 30 years of experience in academic media and technology, including medical media and academic media positions at the Hospital of the University of Pennsylvania, The Bryn Mawr Hospital, and the University of Pennsylvania School of Nursing. At The Lutheran Theological Seminary at Philadelphia, where he last served as Director of Communications and Manager of the Media Center/Instructional Design, he lead the teaching and learning technology use at the school, including developing online and blending courses using rich media delivered through Blackboard Learn, as well as leading the school’s communications and marketing efforts. For several years, John was manager of the Home College Service of WHYY, Philadelphia public broadcaster, where he did early work that evolved into CollegeAnywhere. 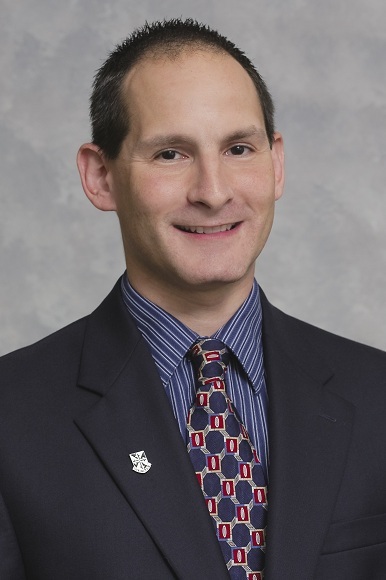 John served as member and chair of the CollegeAnywhere board before joining the CollegeAnywhere staff in 2012. John also is an independent media producer who has created content for the PA Attorney General’s Office, the Univerity of Pennsylvania, Sports Video, Inc., and other clients. John works with potential, new and existing CollegeAnywhere users to insure their best use of CollegeAnywhere in their teaching and learning.